We seek a dynamic and outgoing leader and professor to head our Centre for Acoustic-Mechanical Micro Systems (CAMM). CAMM is a joint centre between DTU Electrical Engineering and DTU Mechanical Engineering. It is sponsored by the Danish Hearing Aid industry and has presently a staff of 10 scientists working in the area spanning from micro mechanical systems to acoustic technologies. The development and application of numerical methods applicable to acoustic, mechanical systems and interaction between the two in the form of multiphysics systems. The development and application of methods within one or more of the areas of fluid dynamics applied to airflow over small objects, material properties and process ability of thin-walled components, development of new types of materials with specific properties. The development and application of methods within one or more of the areas of contact models for finite element calculations (FEM), FEM applied to moving structures, BEM applied to acoustics in lossy media, simulation of air flow around small objects, FEM applied to material properties and processing conditions. Synthesis tools for small scale acoustic and multiphysics systems – for example using automated synthesis tools based on shape and topology optimization. The research should also form the basis for educational initiatives, e.g., new courses and inspiring supervision of students. Moreover, the activities are expected to lead to innovation in area. As professor you are expected to be instrumental in further developing the centre as an internationally leading centre within the field. You will work together with the managements of DTU Electrical Engineering and DTU Mechanical Engineering and with industrial partners to create a centre that serves as a unique platform for the development of the field of acoustic mechanical micro systems – a field focusing on the acoustic and mechanical parameters involved in the process of analysing and designing small audio systems and other miniaturized systems involving acoustics. Special attention is given to the interdependence between acoustic and mechanical parameters. You will lead and develop CAMM’s scientific efforts in an inspiring and dynamic way in all areas of its research activities. You will oversee the educational responsibilities of the centre and help to establish a number of courses that will ensure that students become familiar with the field. You will stimulate collaboration between scientific and technical staff in the centre and those not directly part of the centre including relevant acoustic and mechanical centres and sections across DTU and industrial partners. You will actively stimulate innovation in CAMM including student innovation. You take a deep interest in building up CAMM´s portfolio in areas that support further technological development within the area of personalized audio systems and other areas where micro systems are involved. A position as professor with special responsibilities involves all the usual duties associated with a full professorship, as well as fixed-term specific duties associated with the position. The professor is expected to participate in teaching at the BSc, MSc and PhD levels. For international candidates, DTU can provide Danish language courses enabling the candidates to teach in Danish within 2-3 years. You should already have obtained well-documented international recognition within your research field. Employment implies original research at the highest international level within one or more of the above-mentioned research themes. We expect that you have some experience with innovation processes in the form of knowledge transfer to industry or filing of patent ideas. Experience in the management of a medium-sized research team is essential and you should enjoy close contact with industrial stakeholders. Outstanding communication skills are required. Experience in obtaining research funding is also a requirement. ability to form strong and productive collaborations with both university partners and commercial partners. The position is available for a 5-year period and may be extended for up to 3 additional years. At the end of the period, the employee in question will transfer to a position as associate professor at the university. More information can be found here: Career paths at DTU. Further information may be obtained from Head of Department Hans Nørgaard Hansen +45 4525 4816 or from Head of Department, Kristian E. Stubkjaer, phone +45 45s25 3654. You can read more about the two departments and CAMM at: www.mek.dtu.dk, www.elektro.dtu.dk and www.camm.elektro.dtu.dk. Please submit your online application no later than 17 March 2019 (local time). Apply online at www.career.dtu.dk. DTU Mechanical Engineering covers the fundamental engineering disciplines within Solid mechanics, Fluid mechanics, Coastal and Maritime Engineering, Energy systems and energy conversion, Materials and Surface Engineering, Manufacturing Engineering, Engineering design and Product development. The department has a total staff of about 340 persons. 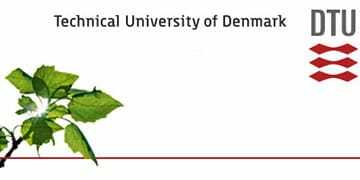 DTU Electrical Engineering is the central department within electrical and biomedical engineering. It is our goal to ensure research and engineering training at the highest international level. The department is organized into 8 groups each covering important areas of electrical and biomedical engineering. Including PhD students we have a total staff of about 300 persons. DTU is a technical university providing internationally leading research, education, innovation and scientific advice. Our staff of 6,000 advance science and technology to create innovative solutions that meet the demands of society, and our 11,200 students are being educated to address the technological challenges of the future. DTU is an independent academic university collaborating globally with business, industry, government, and public agencies.